If elections would take place today, Likud would not receive largest amount of mandates according to poll released tonight on Channel 2. Elections for the 21st Knesset are not on the horizon at the moment but if the present coalition continues to meander from crisis to crisis, they might be closer than we would imagine. According to a poll conducted by Dr. Mina Tzemach and Mano Geva's polling institute and published on Channel 2 News tonight, it emerges that if elections would take place today, the Likud would not be the biggest party in the Knesset. 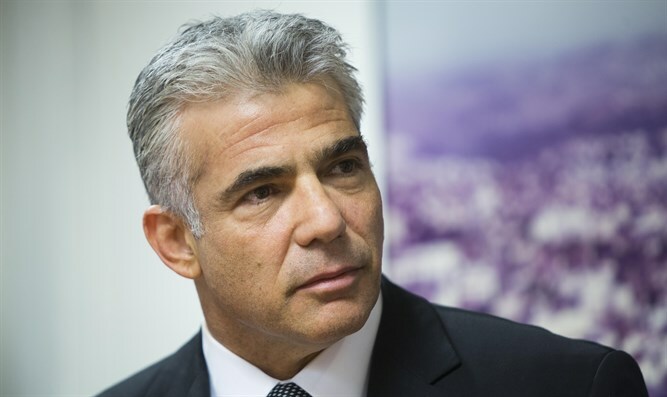 From the results of the poll it emerged that Yesh Atid would lead with 24 mandates while the Likud would come in second place with just 22 mandates as opposed to the 30 it has today. Israel Beytenu would receive 10 mandates in such a scenario, while UTJ would get 7 mandates and Shas and Moshe Kahlon's Kulanu party would each receive 6 mandates. Meretz is expected to get 5 mandates according to this poll. The pollsters asked what would happen if former Defense Minister Moshe Ya'alon set up a party and ran at its head.According to the poll such a party would receive 7 mandates, taking 3 from Lapid, two from the Zionist Union, 1 from the Likud and 1 from Kahlon.